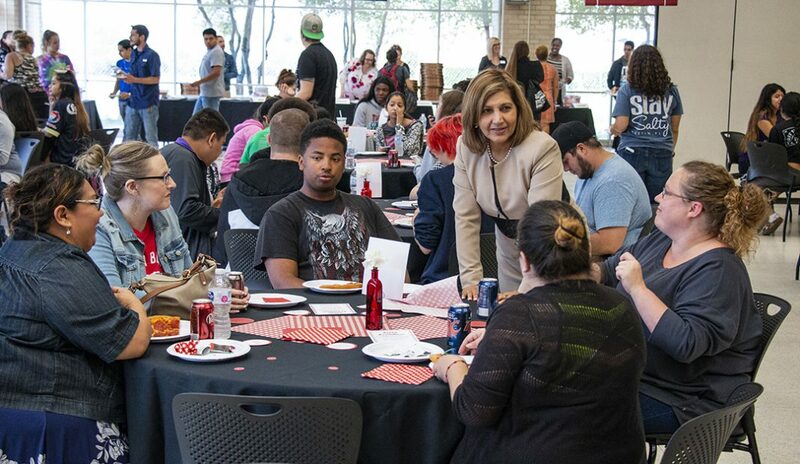 For the second year in a row, students on NW Campus had a chance to schmooze with the campus president while enjoying a free pizza lunch in the student center. 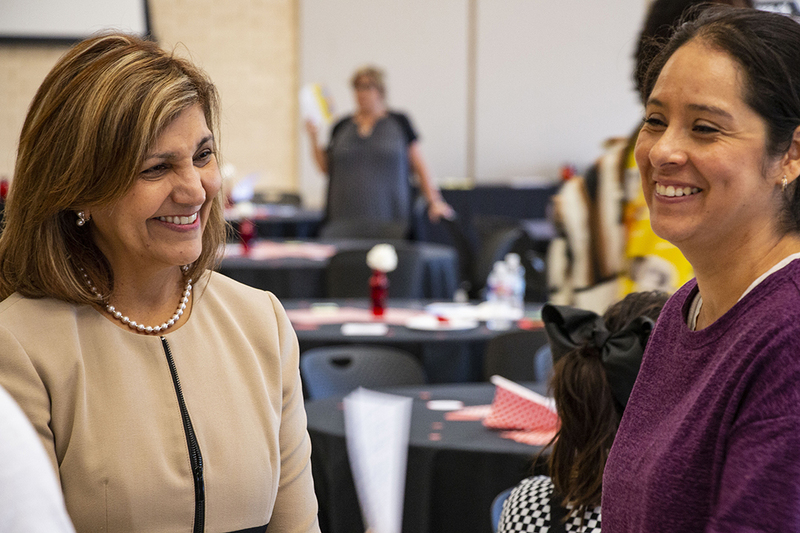 Pizza with the President allowed about 65 to 75 students to talk with NW president Zarina Blankenbaker in a more intimate setting that also allowed her to welcome students to TCC. Students were invited to come and go over the course of two hours, with multiple tables to sit at while Blankenbaker walked around and spoke to students directly about any suggestions they might have. “We wanted to make this an educational as well as informational opportunity for students,” NW student development services director Vesta Martinez, said. NW student Danielle Demera had a chance to sit down with both Blankenbaker and Martinez and discuss her ideas to better communicate events on campus. The event was to let students know more about what’s happening around campus and the people in charge of decisions, Demera said. NW president Zarina Blankenbaker socializes at Pizza with the President.